It’s here – The Cloverfield Paradox is out now on Netflix. And the critics hate it. The long-awaited, highly-anticipated follow-up to Cloverfield and 10 Cloverfield Lane has crept up on us out of nowhere… and after an official trailer dropped during the Superbowl, it looks as though The Cloverfield Paradox is now available on Netflix. That’s right – the next Cloverfield movie is here. But why was it dropped so unceremoniously onto the streaming service? Sadly, it looks as though the answer is simple – it’s just not very good. 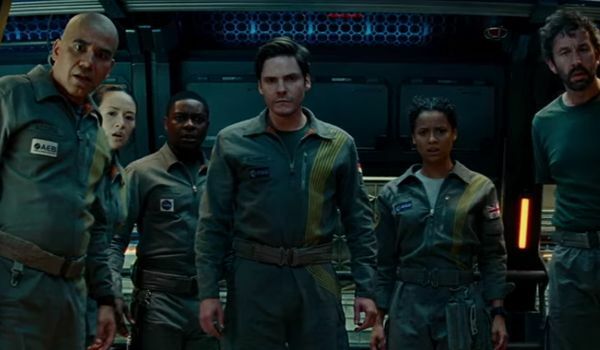 The Cloverfield Paradox stars British actress Gugu Mbatha-Raw as one of a group of astronauts heading into space to perform experiments which are aimed at solving the world’s energy crisis. Obviously, something goes awry… and they soon find themselves very, very alone. And they’re fighting for survival. On the surface, it all sounds very Gravity-meets-Alien… but the general consensus so far is that it’s just not very good. In fact, the film currently stands at just 16% on review aggregate website, Rotten Tomatoes. And the critics really aren’t holding back. It seems that The Cloverfield Paradox has the seeds of a good idea… but it just doesn’t go anywhere worth going. The plot is laughably flat with a lot of missed opportunities. And it seems many viewers are finding a lack of creativity to be the film’s biggest crime. Considering the reception of Cloverfield and 10 Cloverfield Lane this is a crying shame. And it looks as though The Cloverfield Paradox has already fallen flat. Still, at least its appearance on Netflix saves it from an embarrassing box office run. The Cloverfield Paradox stars Gugu Mbatha-Raw, David Oyelowo, Daniel Bruhl, John Ortiz, Chris O’Dowd, Aksel Hennie, Elizabeth Debicki, Roger Davies, and Ziyi Zhang. Julias Onah directed the movie, based on a script by Doug Jung and Oren Uziel. The Cloverfield Paradox is available now on Netflix.